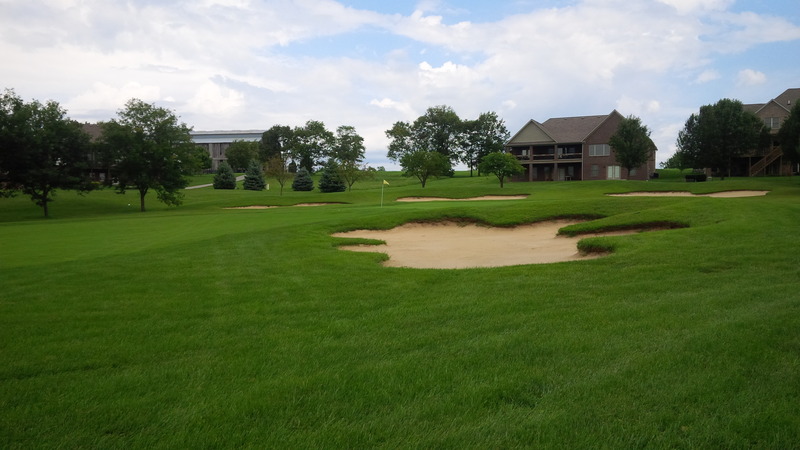 Large, relatively flat greens with protection from multiple bunkers is a common sight at Cherry Blossom. 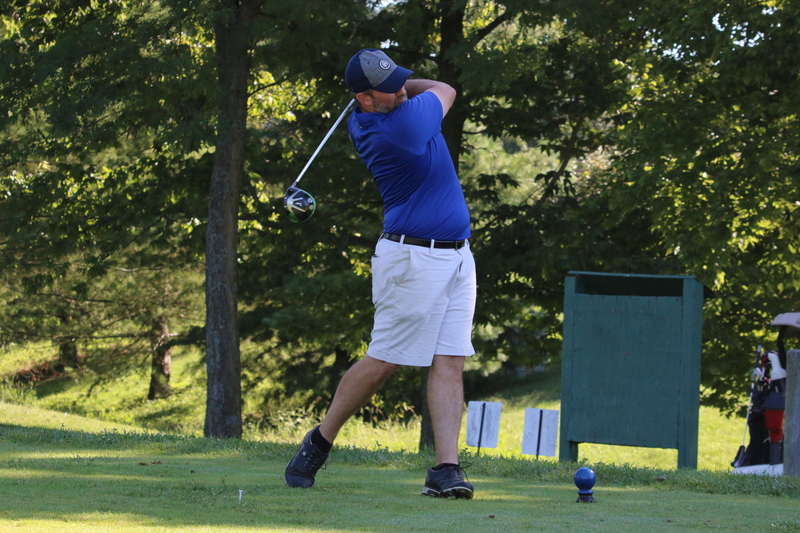 Cherry Blossom Golf & Country Club hosted the 2014 Kentucky Men’s State Amateur Championship earlier this summer, which should say something about the regard in which the golf course is held. 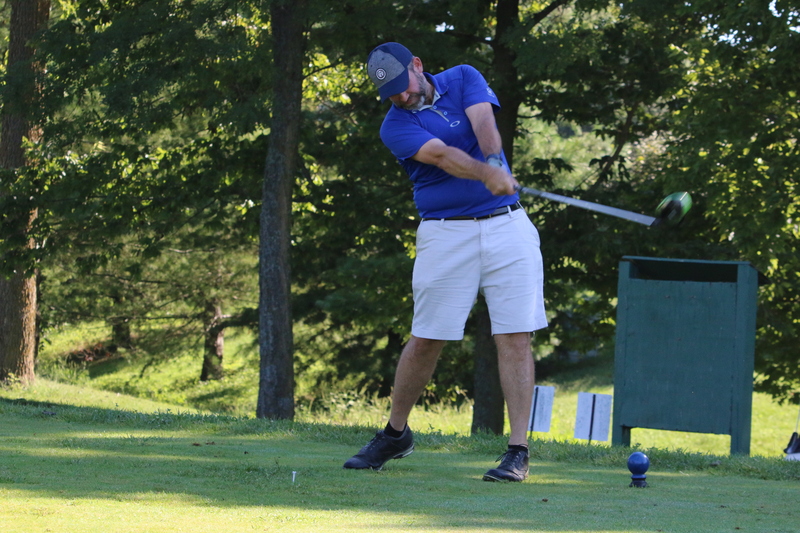 The course rates as the 4th best public golf course in Kentucky, according to Golf Magazine, and the 5th best Kentucky public course by Golf Week. Conveniently located in a college town close to two major interstates, Cherry Blossom is a popular tournament and outing host. However, for the life of me, I just don’t get what all the hub-bub is about. To me, Cherry Blossom is just what my title says it is: a really pleasant golf course. This is an example of the quintessential view at Cherry Blossom: gently sloping fairways with smallish mounds and trees that are more inconvenience than defense. I’ve played there several times over the years, most recently a week or so ago, and I’ve never got that magical feeling being on the course that is associated with an “experience” or a really excellent golf course. 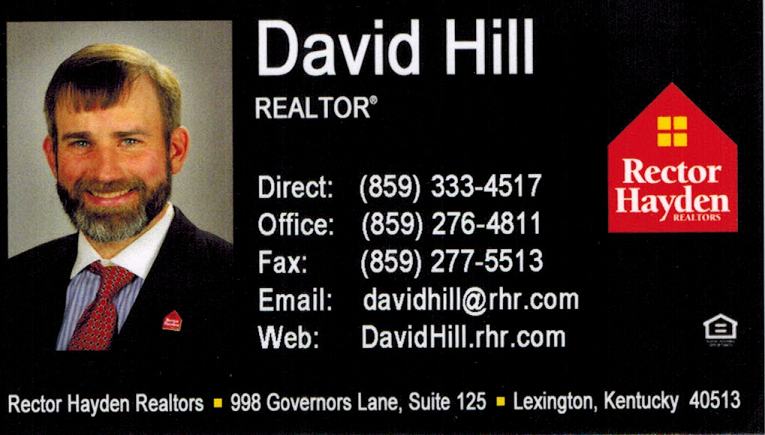 That the golf course is surrounded by a neighborhood full of McMansions of the nouveau riche in Georgetown, Kentucky, is apropos of the character of the golf course itself. It’s a really nice course that is, well, just kind of bland. 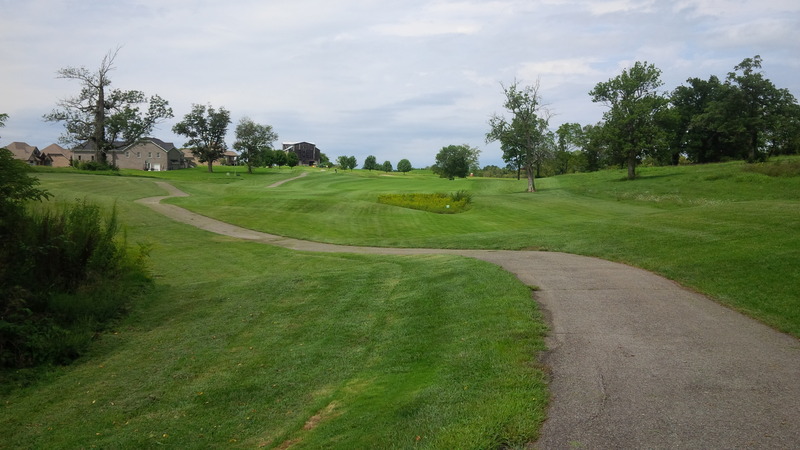 Many of the par four holes are of similar length and present essentially the same challenge: hit your driver, put the ball in the rather wide fairways, hit to the middle of the gently sloping greens, being careful to avoid the multiple greenside bunkers, and try to two-putt for your par. 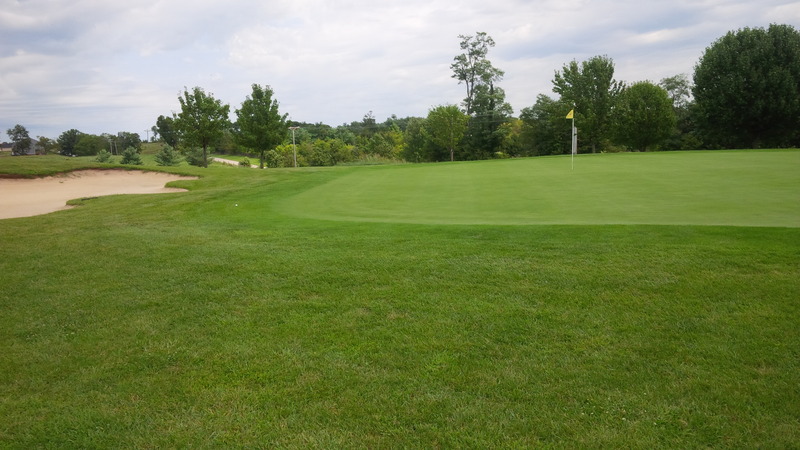 The greens at Cherry Blossom are expansive, contain little slope or undulation, and rolled very smoothly given the amount of rain the course received before our round. There aren’t many dog legs to speak of on the course, and none that are particularly severe except for number 17. 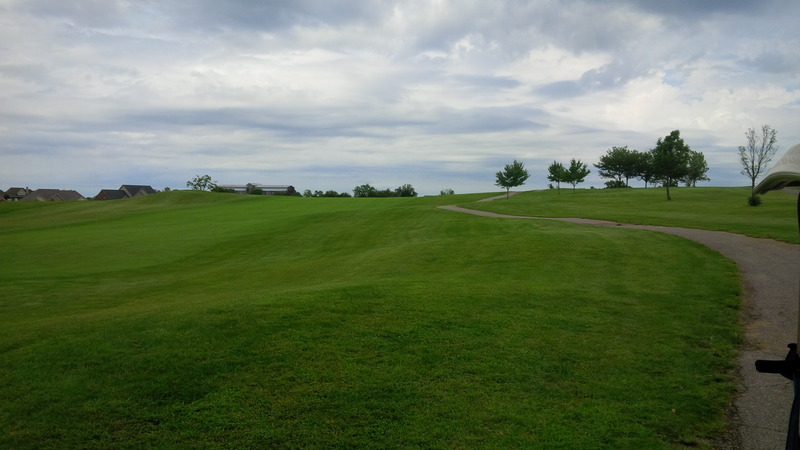 The fairways are framed by small moguls, small trees, flat-bottomed bunkers, or one of the large retention ponds, or some combination of all of these. However, with the exception of the two closing holes, it’s hard to identify a signature hole or memorable stretch of extraordinary golf. Most of the holes are straight forward in layout, challenge, and effective strategy. Other than everything being very green, there isn’t particularly any defining characteristic at the course. For instance, many of the holes at Cherry Blossom would fit just as well at Houston Oaks, Golf Club of the Bluegrass, or Griffin Gate. The par 4 8th hole, like many other at Cherry Blossom, calls for a drive in or near the fairway and a short iron to a rather large green guarded by a large, well-maintained bunker. It is a story that’s repeated often on the course. Cherry Blossom is always well conditioned and easy on the eyes. John Mark and I played on the heels of a massive storm front, so the course was super wet during our round, making the course play much longer than the scorecard portended. The tee boxes, fairways, bunkers, and greens were all in great condition. However, I was shocked at how much crabgrass I found in the rough on almost every hole. I suspect that profitability concerns amidst our golf downturn may have limited the course’s chemical budget, which is reasonable. But hacking out of the grabby, grippy, cabbage that is mowed crabgrass gets old quickly. 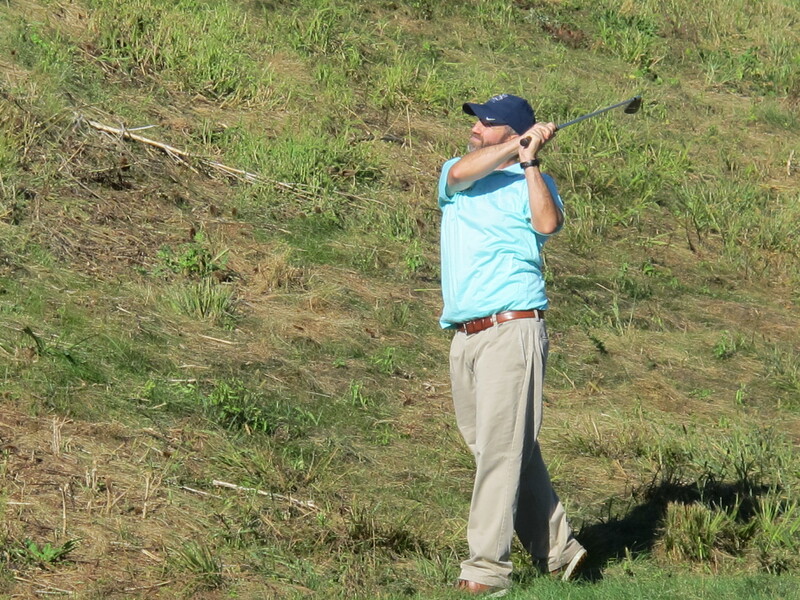 Low screamers off the tee was my order of the day, so I suffered several drives that plugged in the fairway. Some of the pin positions were unfortunate, as position required us to putt through casual water, though given the speed and intensity of the storm, I don’t begrudge the maintenance staff. The peninsula green of the short par 3 12th provides one of the few risk/reward opportunities at Cherry Blossom. Challenge the sucker pin or aim for the middle of the green is a legitimate decision, even with a 9-iron in hand. From 2004 to 2011, the course was listed as Golfweek’s No. 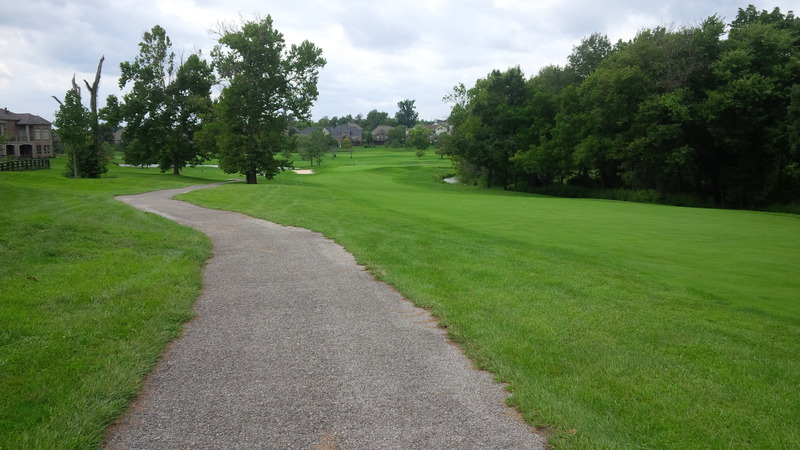 1 public course in Kentucky. 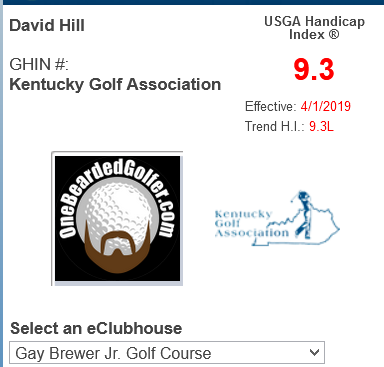 Perhaps the raters put a premium on how green the course is kept, but from a design standpoint, I think there are many clearly better options in and around central Kentucky. One pleasantly surprising, almost unique feature of Cherry Blossom is that the carts still have gigantic GPS monitors, which have become a rarity in this age of smartphone apps and laser range finders. The tee shot on the long par 4 13th hole is one of the few where there is trouble both left (OB) and right (lake). 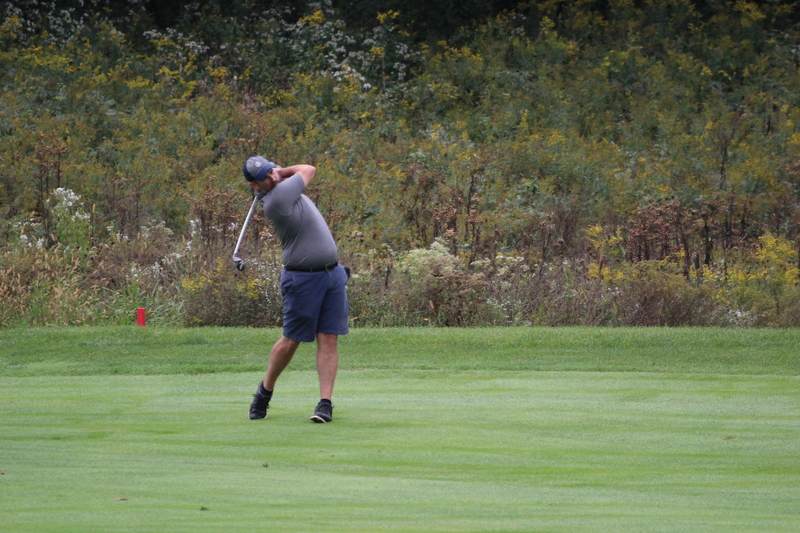 From the Blue tees, the course plays to a respectable course rating and slope of 71.0/132 at 6,452 yards, and can be stretched as long as 6,845 yards from the championship tees. Depending on the wind direction, length can be a serious factor, as the rolling hills of the course are generally unprotected and fully exposed. And, as my scorecard will attest, if you’re struggling and slapping the ball around, the strokes can add up quickly at Cherry Blossom. Nonetheless, my feeling walking off the 18th green was the same this time as it has been each time before: it’s a really pleasant, stereotypically nice residential course. In my humble opinion, the course needs something: excitement. Cherry Blossom is full of houses, which don’t interfere with play for the most part. The uphill-then-downhill, dogleg right par 5 17th hole is perhaps the most complex and competitively challenging hole at Cherry Blossom. Some of its fairways are tree lined, but it’s pretty wide open for the most part. 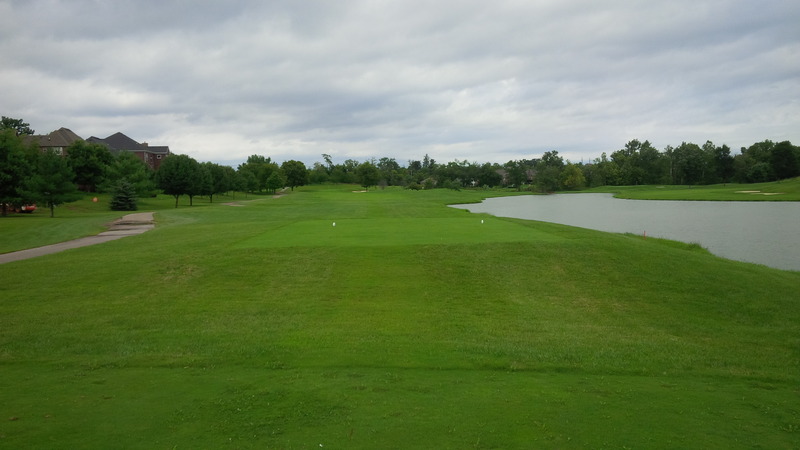 The course sits on scenic, rolling terrain with a few ponds dotting the tract, but it’s definitely not a links course. Where you’re supposed to hit the ball is pretty obvious on every shot, and the course doesn’t really demand that you shape a particular shot to get there. Cherry Blossom is a collection of 18 perfectly nice, adequate golf holes that are kept in above-average shape. 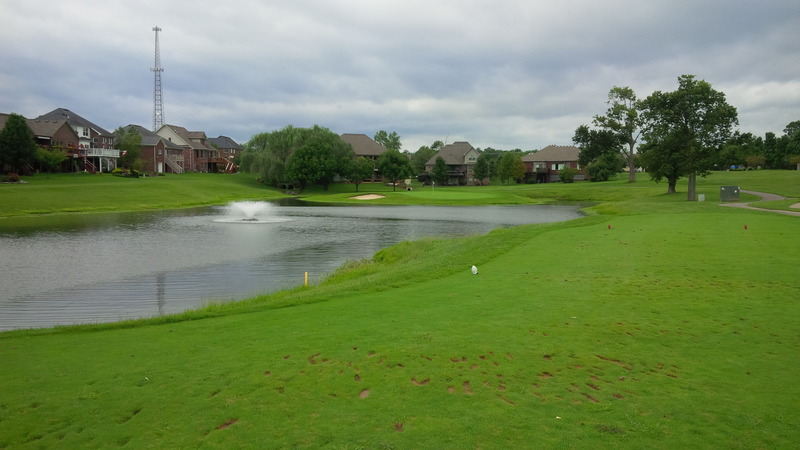 If you want to treat some of your casual golfer friends to a really nice round of golf that won’t require them to spend as much on extra sleeves of balls as on greens fees, then Cherry Blossom is your course. The long, water-guarded closing 18th hole is as close to a signature hole as Cherry Blossom has I suppose. It’s a nice way to end a nice round. If you’re looking for a place to drink beer and share stories with your buddies whilst hiding from your significant others, Cherry Blossom can fit the bill, except the course is located in a dry county, so you’re going to have to plan your bootlegging scheme ahead of time. 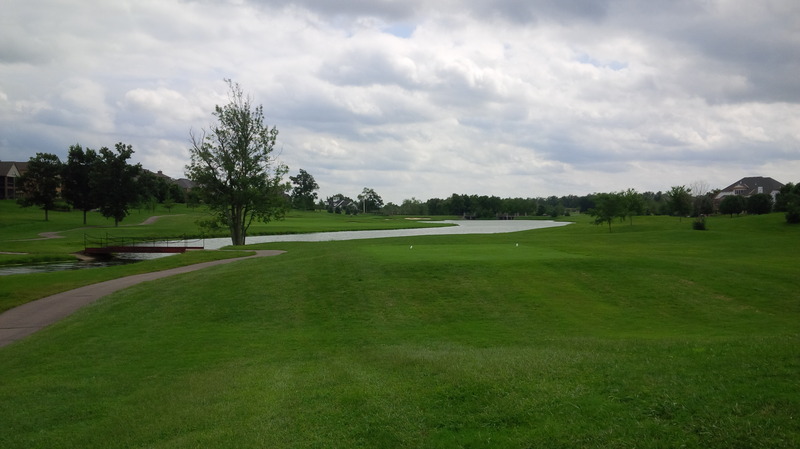 However, if you are looking for a golf course that is going to get your heart rate pumping and challenge your frayed golfer’s nerves, there are other, stronger options in the $30-$50 price range in and around the Bluegrass region.